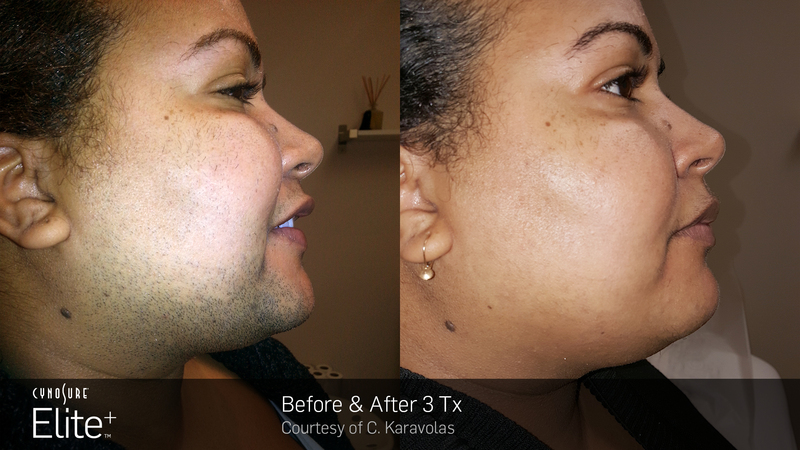 At ExcelLase, we use the Cynosure Apogee Elite® to perform laser hair removal for all skin types and shades. The Cynosure Apogee Elite® contains two laser systems making it twice as effective, twice as easy to use for fair skin and dark skin. Yes. Laser hair removal treatments are safe with ExcelLase professionals certified by Cynosure as Laser Technicians. Most individuals experience no more than a slight stinging as the laser pulses are applied. All laser treatments are accompanied by a cold air chiller that numbs the skin very quickly before the treatment. 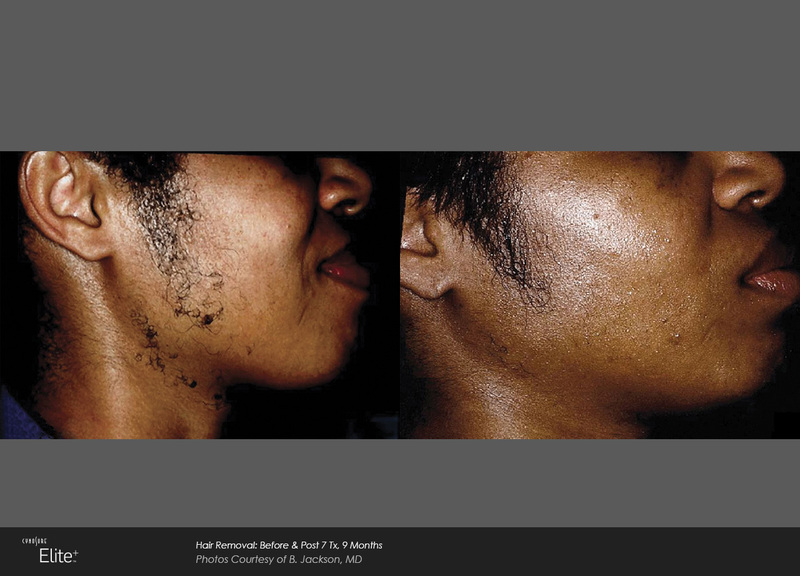 The laser safely removes unwanted facial and body hair by selectively targeting pigment inside the hair follicle, generating energy in the form of heat at the root of the hair, and destroying the hair without damaging the skin. Almost all of the body including Abdomen, Back, Front and Back of the Neck, Buttocks, Bikini Area, Cheeks, Chest, Chin, Eyebrows, Ears, Nose Hair, Feet, Forehead, Legs, Arms, Hands, Head, Neck, Shoulders, Underarms, etc. can be treated for men and women. Small areas may take as little as 15 minutes, while larger areas, such as the back and leg, may require up to an hour or longer. Compared to a lifetime of waxing, shaving or purchasing depilatory creams, laser hair removal is very affordable. Price is based on the size of the area to be treated. ExcelLase regularly runs specials on our website. The number of treatments required depends on the area being treated, your hair density, heredity, hormone level and the hair’s growth cycle. Each client is unique, experience has shown that it usually takes multiple treatments spaced 4 to 8 weeks apart, depending on the body location of the unwanted hair to reach satisfactory results.